Sook Kwan’s work encompasses a variety of debt transactions including direct and syndicated corporate loans, conventional and Islamic private debt securities, project finance transactions, aircraft and ship financing including leverage leasing. 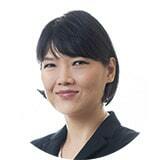 Sook Kwan also advises clients on asset securitisation and other structured financing transactions. She was legal counsel for a number of securitisation transactions in Malaysia including the first of such transactions approved under the Securities Commission guidelines. Sook Kwan began her legal career at Russell McVeagh Mckenzie Bartleet & Co, one of the largest commercial law firms in New Zealand. In 1996, Sook Kwan returned to Malaysia and joined Zaid Ibrahim & Co. (a member of ZICOlaw) as an Associate. Sook Kwan was made a Partner of the firm in 2000.